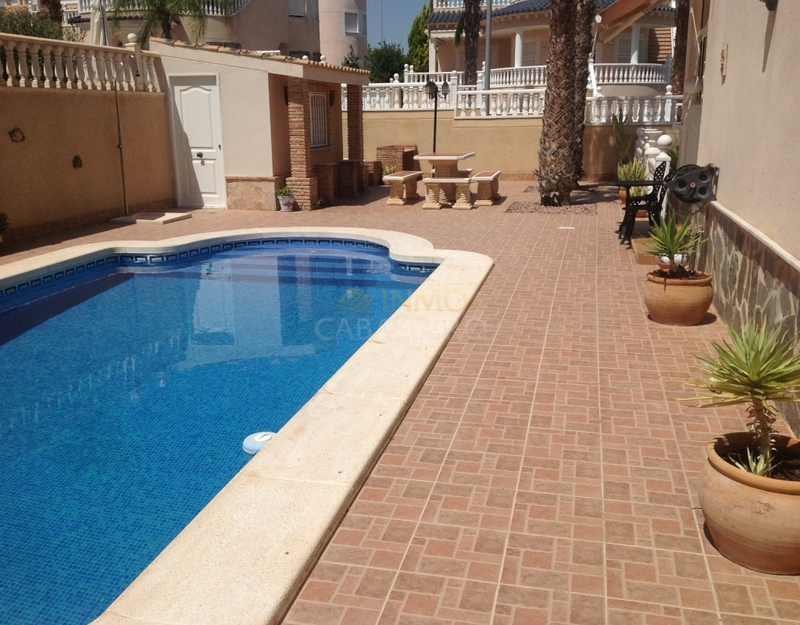 Beautifully presented detached villa with private and comunity pool. Entrance is via a covered sun terrace. Main floor consists of: Lounge/diner with fireplace and fitted log effect gas fire. There is a separate fully fitted kitchen with door leading out to a glazed terrace and door to the pool area. To the rear of the lounge is the main bath and two double bedrooms with fitted wardrobes. The guest accommodation is on the first floor. This is accessed by external stairs of the front terrace and consists of two separate bedrooms both with en-suite shower rooms. Also on the solarium is a utility room. 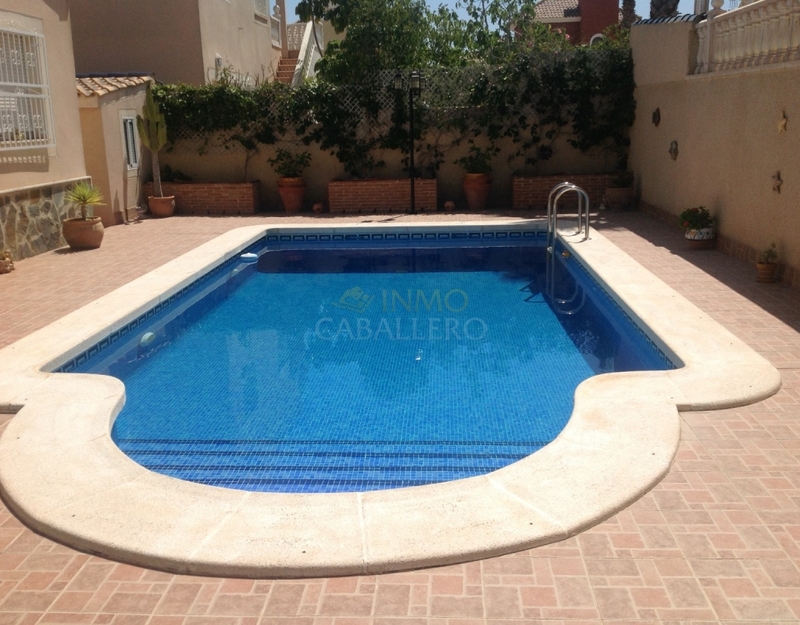 Outside is a 471 m2 flat plot with summer kitchen, private pool, storage and off street parking. 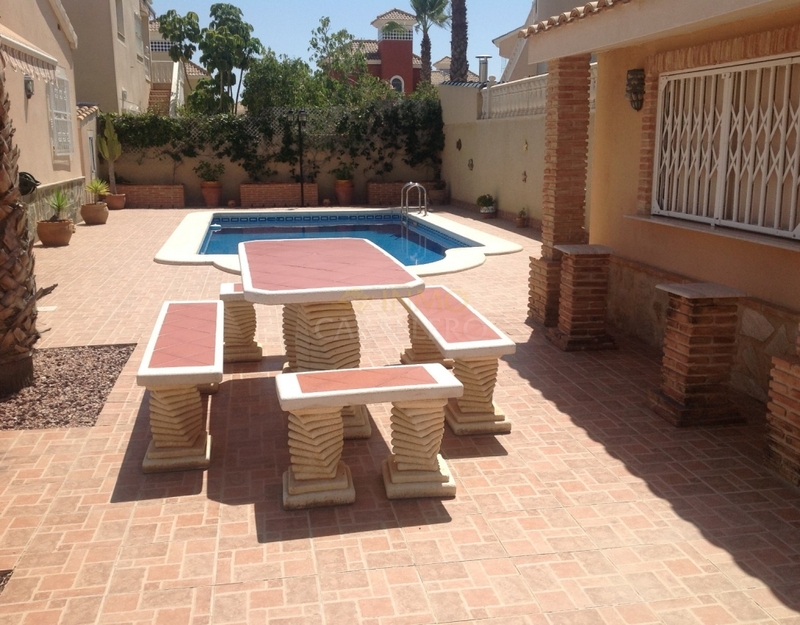 This property is offered in excellent condition, with air-conditioning and is sold furnished.